Introducing a line built to take the harshest travel elements Omni PC combines scratch resistant textures with the lightest 100% polycarbonate construction, ensuring your luggage looks as great on the 100th trip as it does on the 1st. This lightweight line offers heavyweight protection riding on effortless 360 spinner wheels. Don't pull your case; let Omni PC roll comfortably beside you on your journey. Design includes expansion for added capacity when needed. TSA locks ensure your belongings arrive safely to your destination. 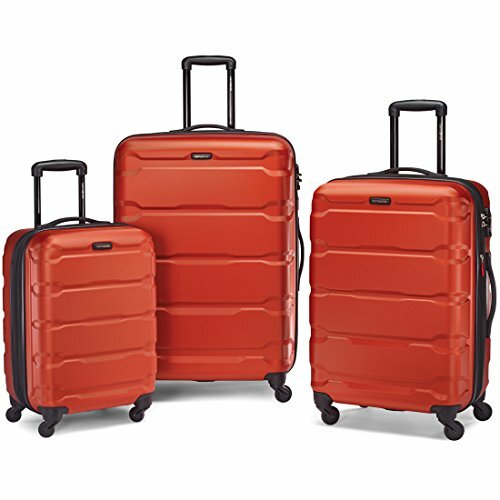 Extremely lightweight and visually impactful, this collection takes 100% polycarbonate design to the next level.Retractable handle provides easy maneuverability when extended out from the suitcase, and stores neatly inside when not in use.